[b]As always, we will announce the branch code at the time of the test[/b] and we will make a dedicated server available as well. 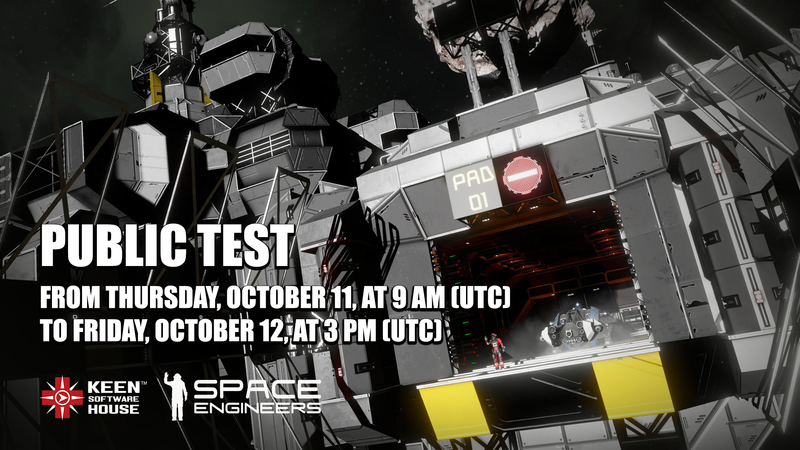 [b]Please note: we have created Good.bot to help new players learn how to play Space Engineers. [/b] However, Good.bot is still learning how to answer other types of questions related to gameplay. With that in mind, please be patient with Good.bot. We encourage you to ask Good.bot whatever you want, as this will help us to improve its functionality, and make Good.bot even more helpful for new players!